Visualize your process by creating a Kanban board with Zenkit! Kanban is a scheduling system that many of us have learnt to use, and grown to love. 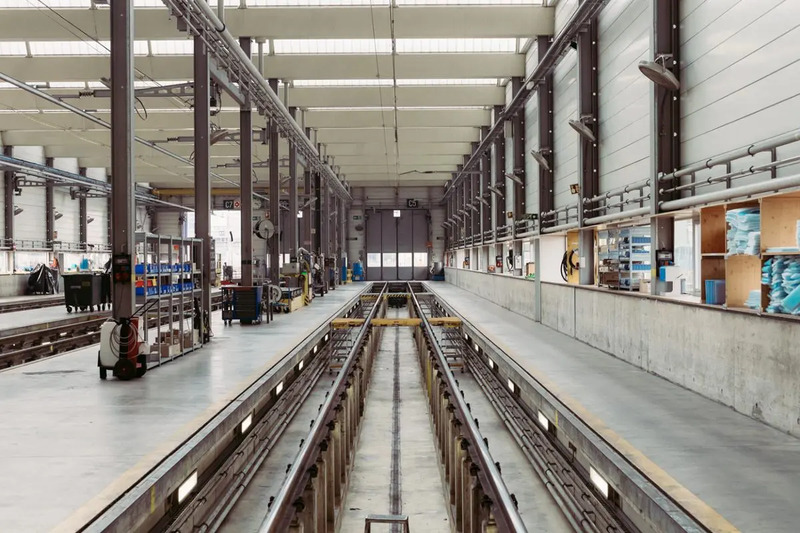 Part of Lean and Just-in-time (JIT) manufacturing, it is a highly visual method that paints a picture of the workflow process, and the work passing through. The aim of Kanban is to help identify any bottlenecks early on in the process, allowing us to deliver a high quality product/service. The whole Kanban concept was initially developed in the 1940s by Taiichi Ohno, an industrial engineer for Toyota, as a means to improve manufacturing efficiency. Ohno derived inspiration from supermarkets and their way of handling inventory — by only stocking by demand. He supposed that the way the rate of demand was used to control the rate of production, and how that maximized the flow between the supermarket and the consumer, could be applied to car manufacturing to match inventory levels with the amount of materials consumed. Once applied to the Toyota production line, cards were used as visual signs to indicate when inventory levels were low on the factory floor. This information was then passed onto the warehouse, who were responsible for replacing the consumed materials, and then the exact amount of materials was given back to the factory floor. The warehouse team would then create their own card signals to their suppliers when their stock was low. That’s one production line that needs to implement the Kanban system! Using visual cues to signal certain stages of the production process, and the quick response to observed demand proved to be a more efficient way to do things. However much Kanban has evolved since its early years, this type of efficiency is what it still aims to achieve today. A Kanban board is a visualization of the work process. As visual creatures, our brains are able to process images 60,000 times faster than text which is what makes Kanban a great tool to document activity, and help the development of a product or service run as smoothly as possible. The boards come in both physical format and digital versions. All you need to construct your physical Kanban board is a whiteboard and sticky notes. A great and inexpensive way to start your Kanban experience, they are good for teams where all members are in the same location, and have the ability to observe and add to the board. Compared to the digital version, however, they hold certain limitations. Like Zenkit, many project management solutions include Kanban software. Often with customizable designs, the virtual boards require less legwork compared to their physical counterparts. It’s ideal for teams who have members working remotely, as everything is accessible on a cloud. This harmonizes the development process by enabling team members to track the progress of the work, and update in real-time. A significant element of a Kanban board, Kanban cards need an honourable mention. A Kanban card depicts a work item/task that in the work process. An efficient way of communicating with other members of your team, it represents information such as the item/task’s status, cycle time, and impending deadline. It encourages self-management, and reduces time spent on meetings. The basic structure of a Kanban board has three columns, ‘To-Do, Doing, and Done’. Rather self-explanatory, the purpose of each column is to represent the stages of development from the beginning when ideas and a backlog are created, to the work in progress, and then finally, to when the work has been completed. There are no set rules of how to use Kanban perse, but there are a six general practices to remember when applying it. The aim of these general practices is to ensure that you utilize the Kanban method to its core purpose — to reduce waste, continuously improve the process, and increase overall productivity. The beauty of a Kanban board is its flexibility. The simplicity of its structure means that it is not exclusive to office-use only. Kanban boards are a great tool for improving personal productivity. They can be used for the processes we have to follow, and the goals we wish to accomplish in our personal lives. For instance, planning a birthday party is a project that has various tasks to accomplish, and several stages of development. Utilizing a Kanban board to organize it uses the same principles of when applying it to a project at work. Having already made its mark on software development teams, Kanban is gaining traction in other industries as a great tool to manage projects. An added perk of Agile methodology, it adheres to the principle of continuously improving the development process. The Agile method uses six main deliverables to produce content and tack progress, which provides users the flexibility to improve their product/service throughout the development process. Implementing Kanban to a team project encourages shared responsibility. Team members have to work together effectively to ensure that tasks/items are moved into the Done column as efficiently as possible. With project details centralized on a visual board, Kanban offers everyone involved in the project with status updates and clarity on how the work is progressing. The priority of limiting the number of works in progress minimizes the risk of bad multitasking, which can result in work overload, jeopardizing quality, and slowing down delivery. There are also features, such as Kanban swimlanes, that can be added to your board to further organization levels. When wasted time is removed from a workflow process, it allows workers to focus their attention and efforts to matters that are important. The visibility of task progress enables team members to help those who are falling behind, boosting group productivity and efficiency. The great thing about using a visual tool is that it easily highlights any bottlenecks or blockers in the process, allowing you to rectify any issues as quickly as possible. Kanban’s continuous-improvement-throughout-development approach increases the quality of work being produced. Having a clear visualization on the entire project’s process makes it easier to communicate progress and issues with stakeholders. This can result in better decision making and an overall better outcome. So now when you hear the word ‘Kanban’ said out loud, you’ll know a thing or two about it. You can tell your colleagues what the term means in Japanese, or ponder further about what kind of supermarket Ohno was in when his spark of brilliance came about. But whatever tip you decide to take away from this, just remember that Kanban is a great method that can be applied to solve your organization woes. How do you stay productive? We’d love for you to share your Kanban tips and tricks with us in the comment section below.